Thursday, June 2, 5 p.m. - 11:30 p.m.
Friday, June 3, 2 p.m. - 12:30 a.m.
Saturday, June 4, 10 a.m. - 12:30 a.m.
Sunday, June 5, 10 a.m. - 5 p.m.
X Games Austin 2016 will feature six themed interactive festival villages: Galleria, Sour Punch Next X Parks, Torchy's Tacos Playground, Vert Village, Sound Factory and Gaming Shack. Villages will offer entertainment, interactive games, attractions, food and other activities, all included with price of admission. Located throughout COTA, the festival villages will also feature live music, athlete autograph signings, giveaways and much more. Friday, June 3, 2 p.m. - 10 p.m.
Saturday, June 4, 10 a.m. - 10 p.m.
X Games Music performers include: All Time Low, blink-182, G-Eazy and Logic taking center stage at the Austin360 Amphitheater as part of the fully interactive music festival experience. All Music vouchers must be exchanged for a wristband at the Music Guest Service Tent located in the Vert Village. In addition to the amphitheater lineup, The Reverend Horton Heat will be playing on Thursday night at the Flat-Track and Moto X Step Up venue. Entry to Flat-Track is free with downloaded voucher from ticketmaster.com. Friday, June 3, 9 p.m. - 12:30 a.m.
Saturday, June 4, 9 p.m. - 12:30 a.m. Circuit of the Americas is easily accessed from SH 130 (toll road) by exiting onto Elroy Rd or FM 812. The venue is located at 9201 Circuit of the Americas Blvd. Austin, TX 78617, which can be accessed from the north off of Elroy Rd or from the south off of FM 812. Parking for the Harley-Davidson Flat Track racing event at COTA on Thursday, June 2, 2016 is an additional $15 and located in Lot C. Free motorcycle parking is located in the McAngus lots directly south of the Flat-Track venue, accessed via McAngus Road. Parking for X Games events at COTA on June 3-5, 2016 can be purchased in advance from Ticketmaster (online, phones, outlets), or can also be purchased on the day of the event at the venue parking entrance. Premium parking in Lots B, C and D can only be purchased in advance and costs $75 for the 3 day parking pass. Standard parking in Lots A, F, and H can be purchased in advance for $35 for the 3 day pass, $15 for a single day pass, and on-site cash parking for $20 per car per day is also available in Lots A, E, F, and H. Complimentary motorcycle parking will only be available in Lot H on a first come first serve basis. Guests are encouraged to purchase parking in advance to ensure discounted pricing and to have access to the parking lots closest to the Grand Plaza entrance. If parking was purchased in advance to expedite entry, please place the parking pass on the driver-side dashboard upon entering the facility so that the large parking letter is clearly visible to the parking attendants. Parking lots will open one hour prior to the X Games entrance gates opening. Parking for guests with mobility issues is available with proper state identification at COTA. Lots B, C, and D will be available only to those who have purchased Premium Parking in those lots. All other guest with mobility issues will be directed to park in the Standard ADA parking spots, located in Lots A and H.
TAXIS, LIMOUSINES AND CHARTER BUSES Taxis may enter Circuit of The Americas Blvd. to off and pick up guests from Elroy Road or FM 812. Once on Circuit of The Americas Blvd. follow the signs to the Taxi load zone located located in the Taxi Cutout across from Lot B on COTA Blvd. Limousines may enter Circuit of The Americas Blvd. from Elroy Road and proceed to the Limo/Bus off zone which is located on the west side of the street and just north of the Grand Plaza main gates (north of Lot C). Limousines will be required to pay the on-site parking fee of $20 per day. Mini buses (24 passengers or less) may enter Circuit of The Americas Blvd. from Elroy Road and proceed to the Limo/Bus off zone, which is located on the west side of the street and just north of the Grand Plaza main gates (north of Lot C). Mini buses will be required to pay the on-site parking fee of $30 per day. Full-size Motor Coaches must pre-purchase a permit in order to have access on Circuit of The Americas property. Call 512-655-6300 for permit requests. Motor coaches with permit will enter Circuit of The Americas Blvd. from Elroy Rd. and proceed to Lot C for passenger -off. Motor Coaches will remain in Lot C until passengers are ready to leave. No in/out privileges. Motor Coaches will be required to pay the permit parking fee of $50 per day. Depending on the volume of limo's, mini buses, and motor coaches, drivers may be asked to 'stage' in an overflow lot until guests exit the venue. Guests can be ped off and picked up at COTA at the designated spectator pick-up and off location directly across from Lot B (look for the Taxi and Passenger -off sign). No parking will be allowed - just -off and pick-up. Any cars left unattended in those areas may be towed at owner's expense. Please adhere to the 15 minute policy for this area. From June 3-5 a complimentary network of shuttles at COTA can transport guests between designated pick-up and -off points on 2 separate routes. Shuttles will operate on a continuous loop beginning 1 hour prior to the X Games gates opening through 30 minutes after the conclusion of the concerts at the end of each night. Route 1 will pick-up and -off at the Main Grandstand Entrance, and the Grand Plaza Entrance (at Lot B). Route 2 will pick-up and -off at Lot H, Lot F, and and the Grand Plaza Entrance (at Lot D). 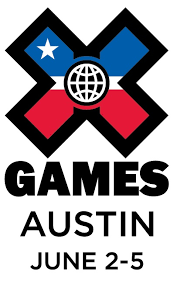 Also new for 2016, X Games Austin will be offering fans X Games ATXPRESS Shuttle passes for purchase beginning today at www.xgames.com. Passes are priced at $35 per day or $99 for Friday-Sunday competition days and will include coach bus transportation from the X Games Shuttle Hub at the Austin Convention Center in downtown Austin to the Circuit of The Americas. Friday, June 3, 1 p.m. - 1 a.m.
Saturday, June 4, 9 a.m. - 1 a.m.
Sunday, June 5, 9 a.m. - 6 p.m.